It will be manufactured at the group’s manufacturing facility at SEZ, Ahmedabad, as per BSE filing added. 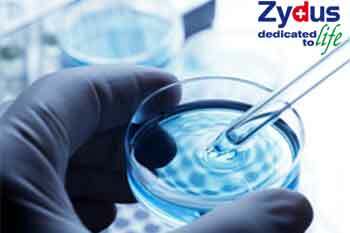 Zydus Cadila has received the final approval from the USFDA to market Lurasidone Hydrochloride Tablets USP (US RLD - Latuda Tablets), in the strengths of 20 mg, 40 mg, 60 mg, 80 mg and 120 mg. It will be manufactured at the group’s manufacturing facility at SEZ, Ahmedabad, as per BSE filing added. The group now has 257 approvals and has so far filed over 350 ANDAs since the commencement of the filing process in FY2003-04, the company added. Cadila Healthcare Ltd is currently trading at Rs332.50, down by Rs5.5 or 1.63% from its previous closing of Rs338 on the BSE. The scrip opened at Rs340.50 and has touched a high and low of Rs341.95 and Rs332.50 respectively.